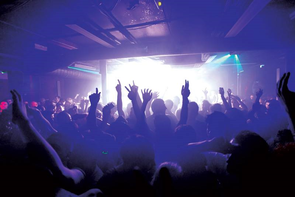 Sankeys round of their 20th anniversary year with the three parties across Boxing Day, New Year’s Eve and New Year’s Day. The brand has celebrated its 12-month long odyssey, taking place in Manchester and also Ibiza and more recently, New York. The space in Ancoats has witnessed a season of shows, featuring big names as well as some of the next wave of talent. Tribal Sessions has returned to the club too since September every Friday, helmed by residents Darius Syrossian and Jozef K.
There are three parties to see out 2014 and introduce 2015. The traditional working-off-the-festive-calories-show is a special one, as Boxing Day sees Steve Lawler’s Viva Warriors crew making a return. After another residency in Ibiza, Steve brings some of his label’s talent to the party, with Swiss techno spinner Deetron, Viva Music star Detlef and Danish female duo Anek all performing too. For New Year’s Eve, the Music Is Love crew bring Kerri Chandler, whose bass-beating roots were formed around a love of soul, disco and garage, and who now uses the latest technology to augment his sets – some of it his own home-made equipment. And Germany’s Move D, fresh from his recent Fabric 74 mix, supports the session, with a gang of local names joining them all night long, including mute! vs MVSON up in Spektrum. Then finally it’s Covert on New Year’s Day, Sankeys’ left-of-centre party headlining with Second City and his single ‘I Wanna Feel’. Support for him has come from as high up as Disclosure, lauding his deep house meets garage inspiration. Patrick Topping takes over in Spektrum with his tech-house sounds, a man who has had support from Pete Tong, Annie Mac and many more for his productions across various labels, including his home label Hot Creations.